We take our smartphones wherever we go and take them out whenever we want. Everything is literally at our fingertips, our dirty and oily fingertips at that. Everytime I have something awesome to show my friends or just want to enjoy my Retina display to the fullest, my shirt is my go-to cleaning cloth. It has become so common for us to use our shirts to wipe our iPhone screens that Swipe, an innovative approach to this problem, was created. 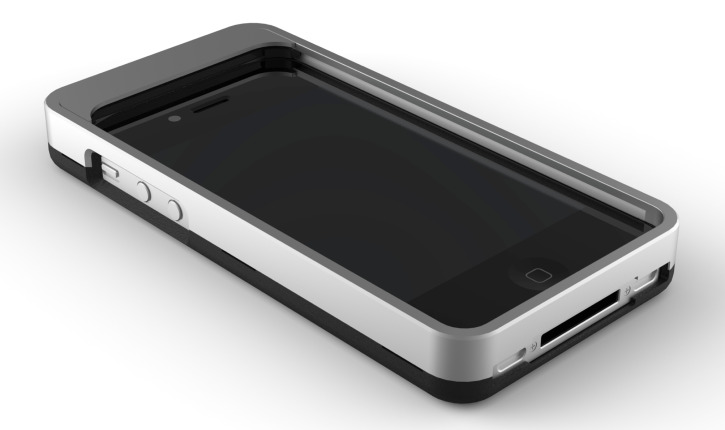 Created out of aircraft aluminum, Swipe is a case that will last. Integrated directly onto the case is a Micro-Fiber covered swiper that will easily glide up and down your screen, taking all the smudges along with it, leaving your iPhone feeling as it did when it just came out of the box. Cleaning your iPhone screen has never been so effortless. 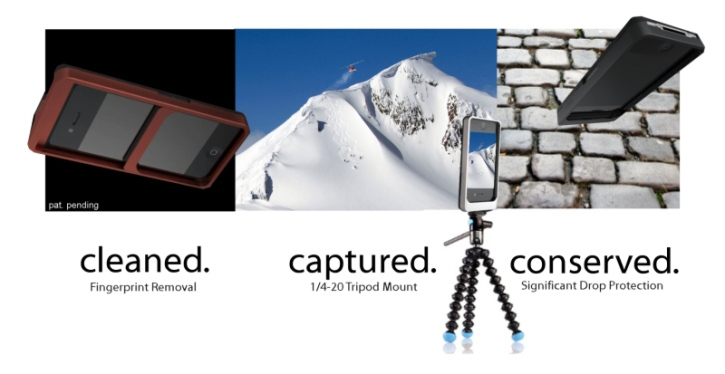 Not only does Swipe clean your screen, it also features a tripod mount that will attach to your dashboard, your bike, or anything with a compatible mount. On top of that, as cellular signals tend to decrease with metallic cases such as the Swipe, they have touted optimal signal strength using their "Wide Open Hybrid Design." Swipe just has it all. Swipe's Kickstarter campaign is still in its early stages with 29 days to go. Head on over to their page and support this great idea to permanently get rid of your dirty iPhone screen. You can preorder one with a $79 pledge or higher if the campaign becomes successful.